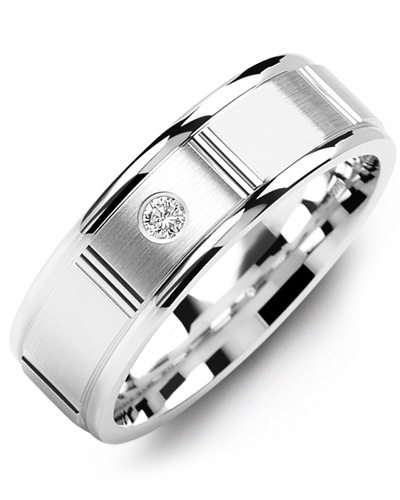 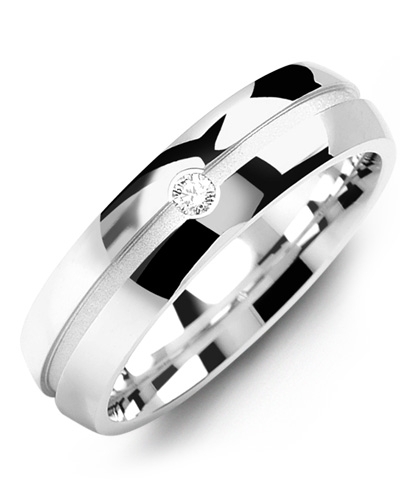 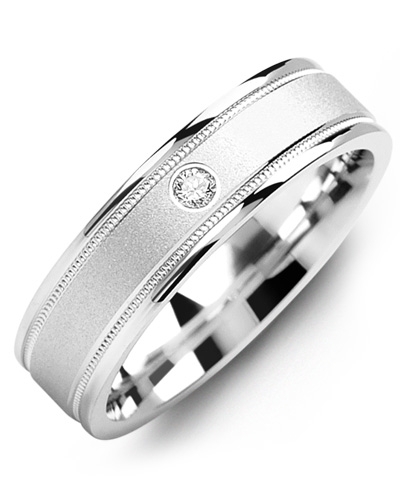 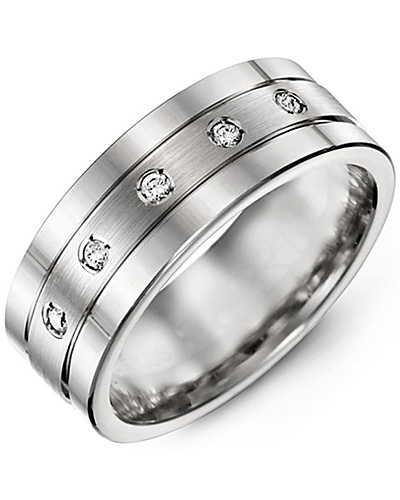 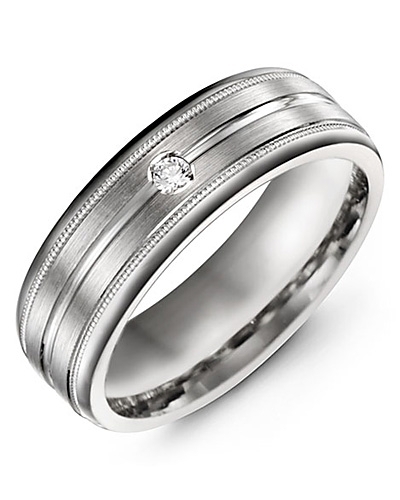 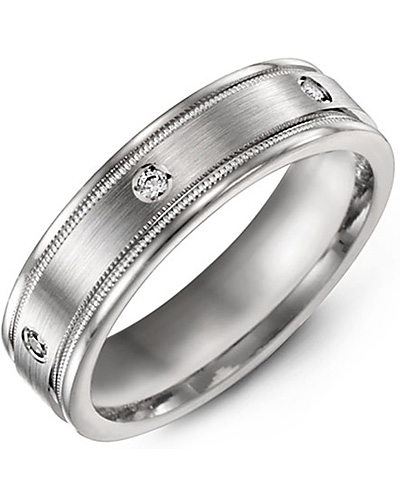 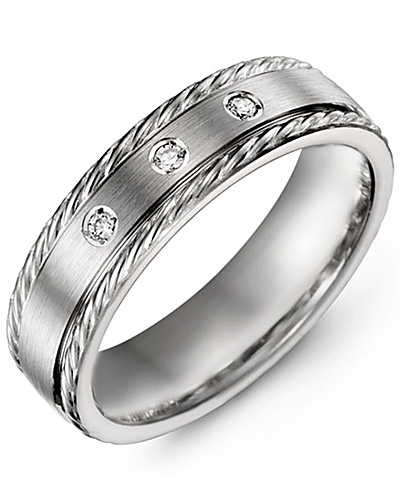 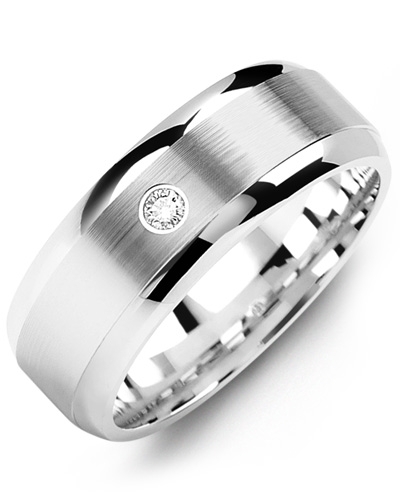 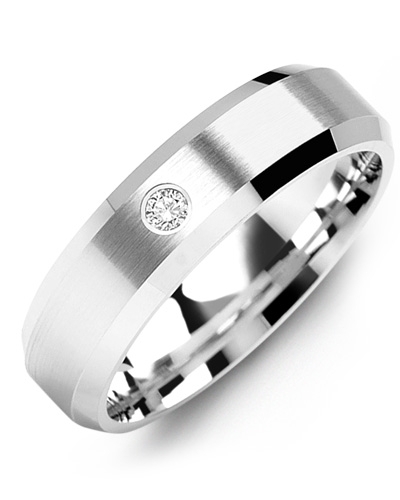 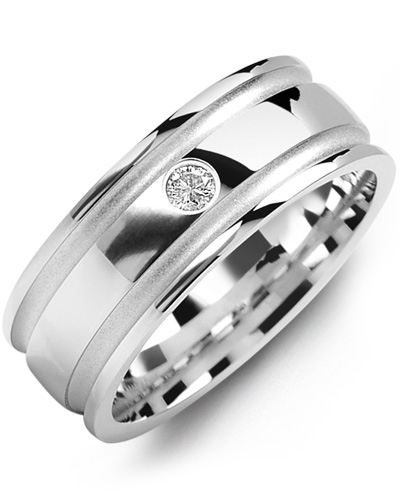 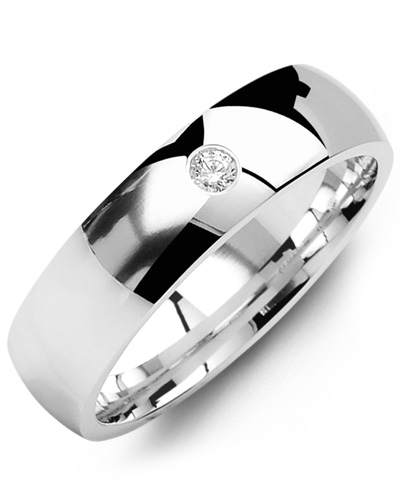 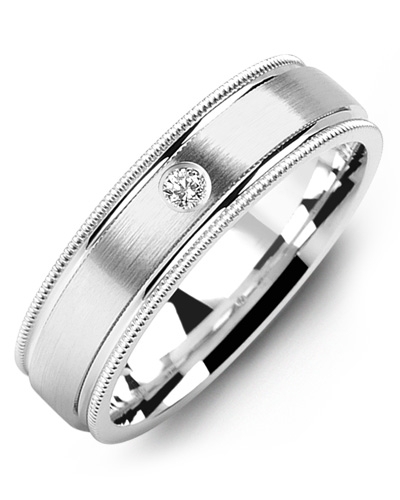 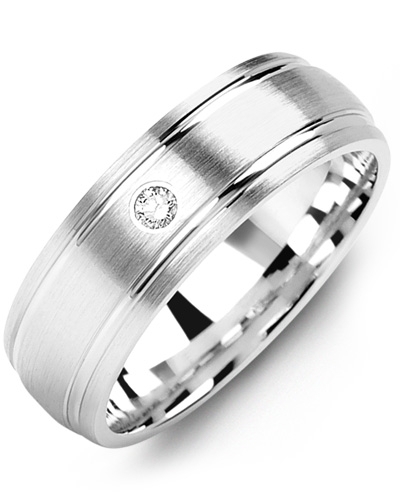 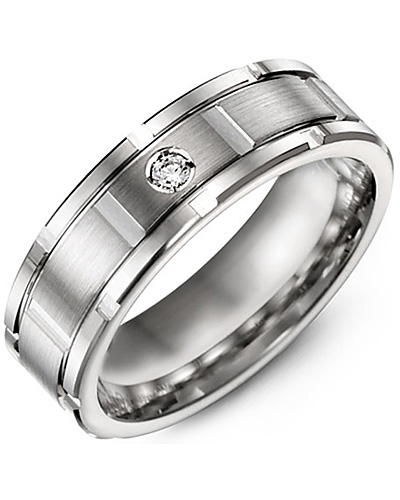 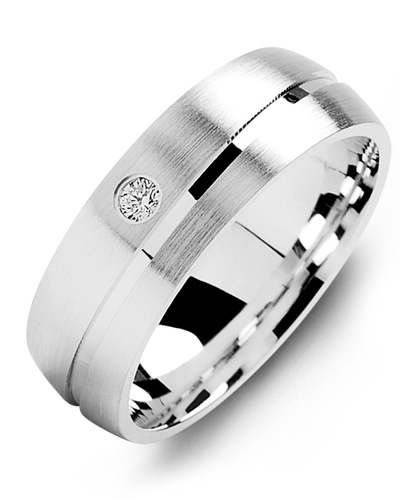 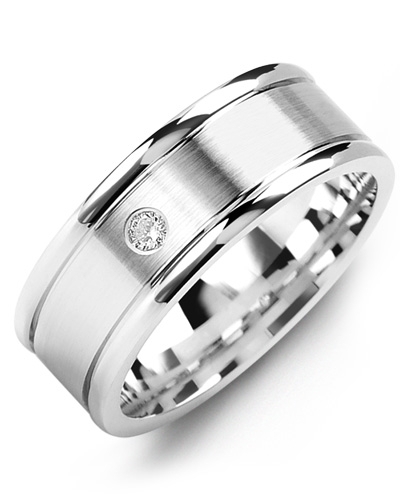 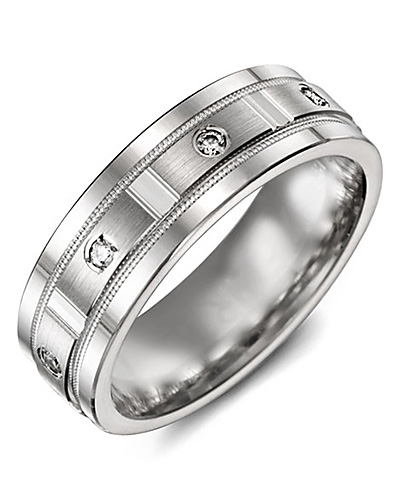 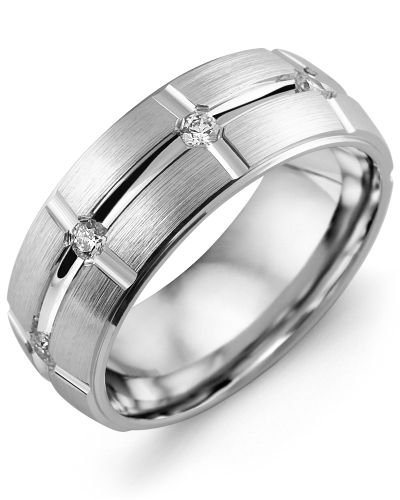 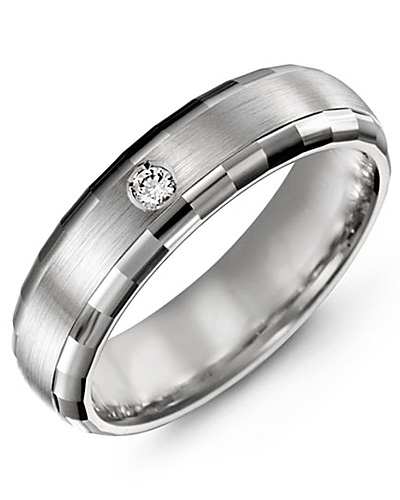 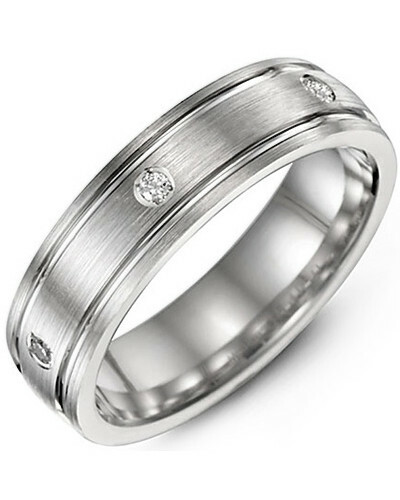 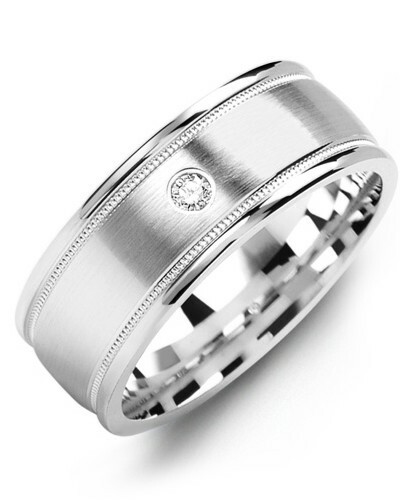 MRD - Polished Hammer Design Diamond Wedding Ring Perfectly polished for lasting shine, this Hammer Design Diamond Wedding Ring will make a remarkable addition to any modern jewellery collection. 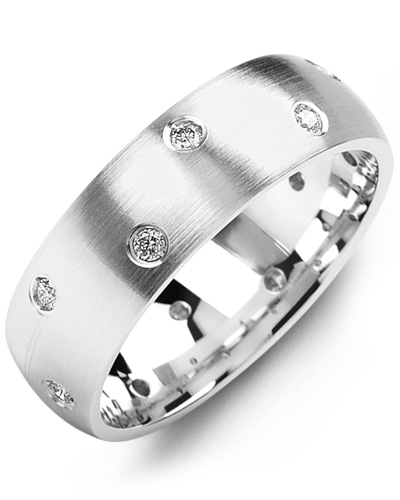 A high fashion piece for modern brides and grooms, it features a flat profile band, intricate hammer detailing, and a 0.05ct round gypsy set diamond for delicate sparkle. 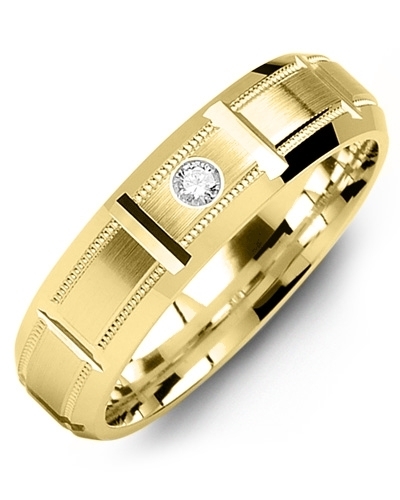 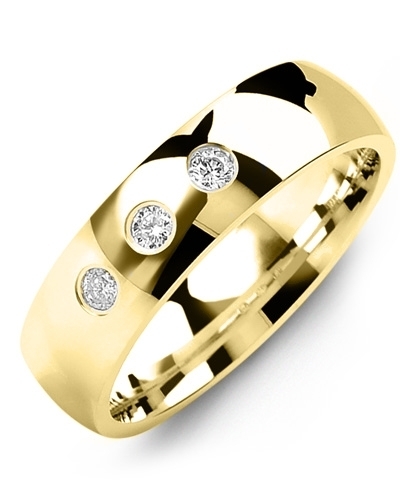 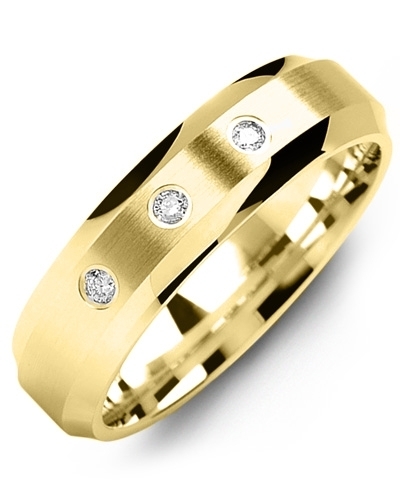 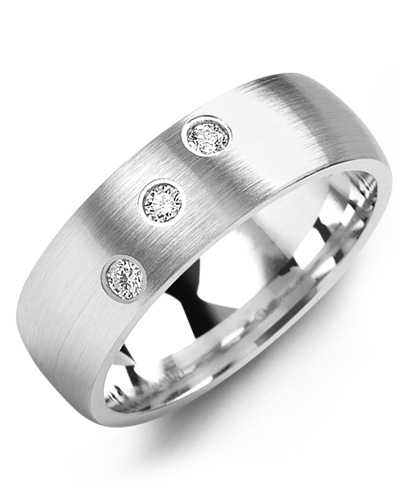 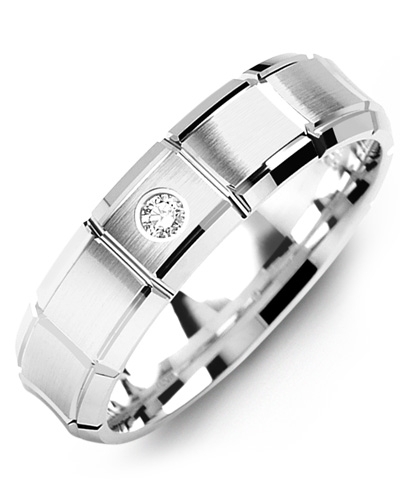 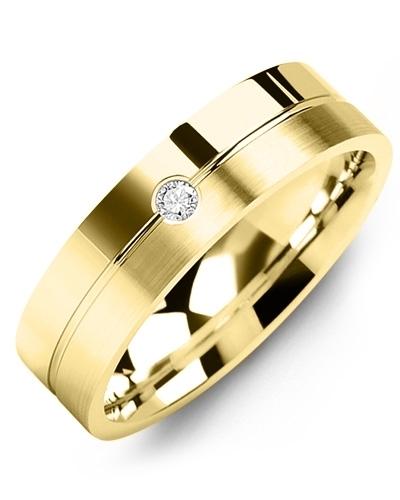 Fully customisable, it is offered in yellow gold, white gold, 10kt, 14kt and 18kt options, and varying widths. Engrave for a personal touch. 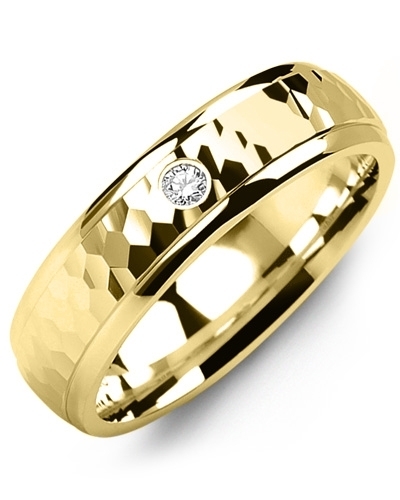 Perfectly polished for lasting shine, this Hammer Design Diamond Wedding Ring will make a remarkable addition to any modern jewellery collection. 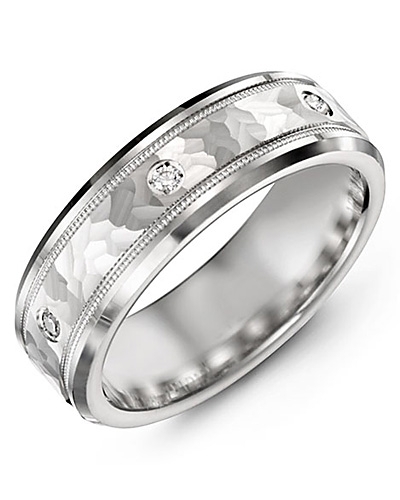 A high fashion piece for modern brides and grooms, it features a flat profile band, intricate hammer detailing, and a 0.05ct round gypsy set diamond for delicate sparkle. 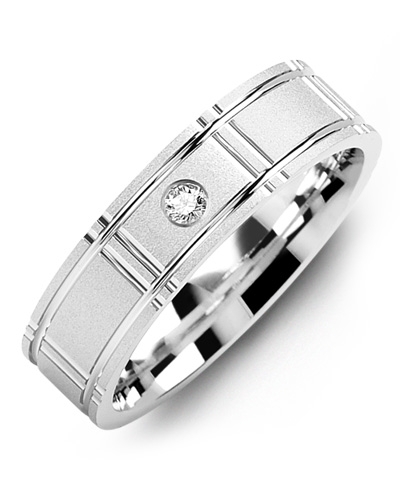 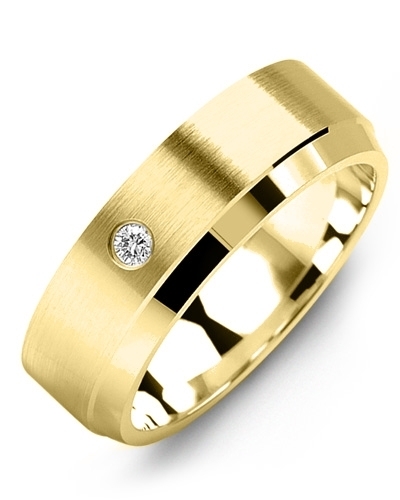 Fully customisable, it is offered in yellow gold, white gold, 10kt, 14kt and 18kt options, and varying widths. 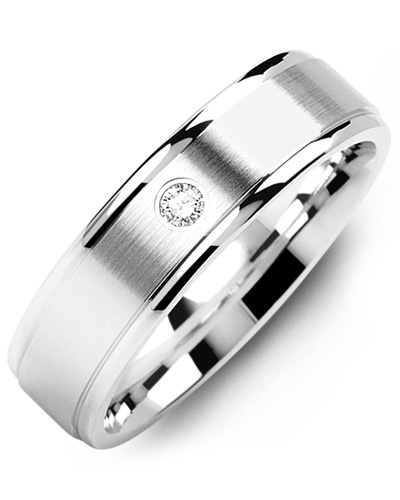 Engrave for a personal touch.